The richest people in the world have a staggering amount of wealth — comparable to the GDP of small countries for some. 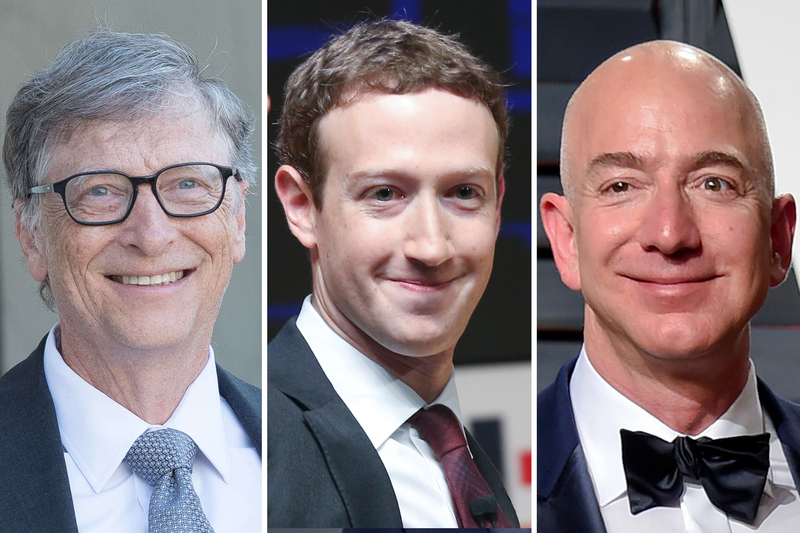 Many of the world’s richest, like Microsoftfounder Bill Gates, Amazon CEO Jeff Bezos or Facebook co-founder Mark Zuckerberg, are self-made and turned an idea into a billion-dollar fortune. For others, like the Koch brothers of Koch Industries, their businesses were inherited, but their control of the company led to overwhelming amounts of wealth. Many billionaires donate a large percentage of their money to charity. In fact, several of the world’s richest including Gates and Warren Buffet have made “The Giving Pledge,”which means they have vowed to give away at least half of their wealth to charity. Following the death of French heiress Liliane Bettencourt of L’Oréal fortune in 2017, two women are now considered as the richest women in the world. One is Walmartheiress Alice Walton, who has a net worth of about $46 billion in March, according to Forbes. And the other is Bettencourt’s daughter Francoise Bettencourt Meyers, the 64-year-old heiress who now has a net worth of $42.2 billion, according to Forbes. Though she rarely gives interviews or appears in front of the media, Bettencourt’s daughter is known as an academic and an avid pianist according toBloomberg.Bettencourt passed away at age 94 in September 2017 at a time when she was worth about $39.5 billion and among the top 20 richest people in the world overall, according to Forbes. Her father, Eugene Schueller, founded the iconic cosmetics company L’Oréal in 1907, and Bettencourt owned a third of the makeup brand with her children. Bezos also owns a private space company Blue Origin and purchased The Washington Post in 2013 for $250 million. Amazon bought the upscale grocery chain Whole Foodsin June for an estimated $13.7 billion.